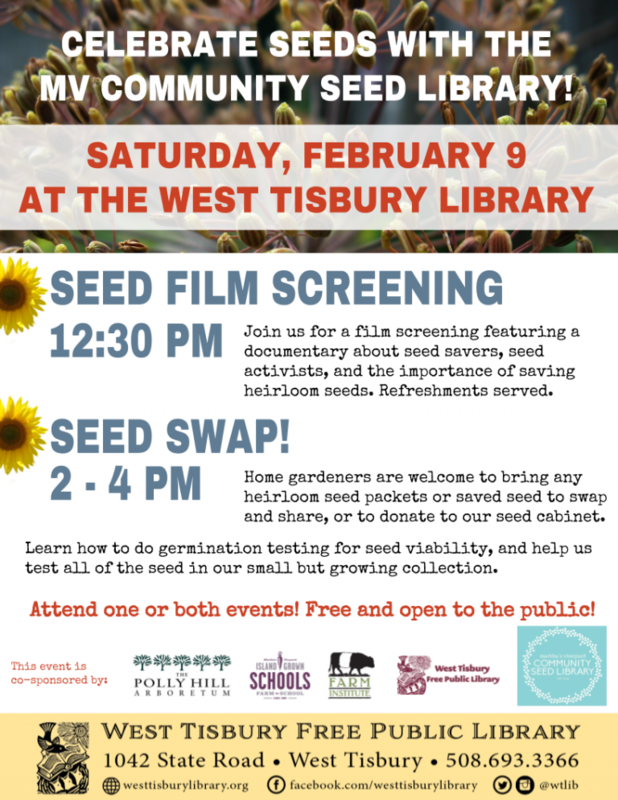 On Saturday, February 9th from 2:00-4:00 pm, come to the MV Community Seed Library’s annual Seed Swap! Home gardeners and farmers are welcome to bring any open-pollinated/heirloom seed packets or saved seed to swap and share, or to donate to our seed cabinet. Don’t have seeds to swap? Check out seeds from the collection, learn how to do germination testing for seed viability, and help us test the seeds in our growing collection. All are welcome! 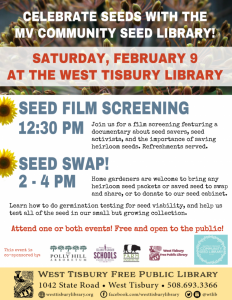 This event is free, open to the public, and co-sponsored by Island Grown Schools, The Farm Institute, Polly Hill Arboretum, and the West Tisbury Library. We hope to see you there!